We recycle old couches, chairs, and much much more! Furniture is a household item that we regularly replace throughout the years. Many times, the furniture you are replacing is still in good shape and selling it can be an easy way to earn some fast cash, but this doesn’t always go according to plan. Though there are hundreds of websites and apps that help people find new homes for their old stuff, people often find themselves getting scammed or frustrated when communicating to a buyer, making selling old furniture seem like just a hassle. Okay, you tried to sell your old furniture online, you hated it, then you decide to explore an alternate option and not have to deal with the hassle of finding or dealing with a buyer. They say one man’s trash is another man’s treasure, an old but true cliché. Sure, someone will truly appreciate your hand-off, but the fact of the matter is most furniture doesn’t make it very far following a donation before being sent to the landfill. Your old furniture is just that; OLD. It belongs in the trash. Now this one is a little more practical than the last two. We don’t throw things away, we fix them. Are you one of those hardheaded people who find sentimental or practical value in everything you own? Are you reluctant to throw away old pieces of furniture because you feel some sort of attachment to them; no worries! Bring life back to your old furniture and junk by repurposing it. By doing some simply additions or alterations, you can make that ugly furniture anew! With a little hard work and creativity, any unwanted item can be revitalized and given a second life. Basically, any type of old furniture is easy to upholster in order to accommodate your new aesthetic vision, for a fraction of the cost of buying new furniture! 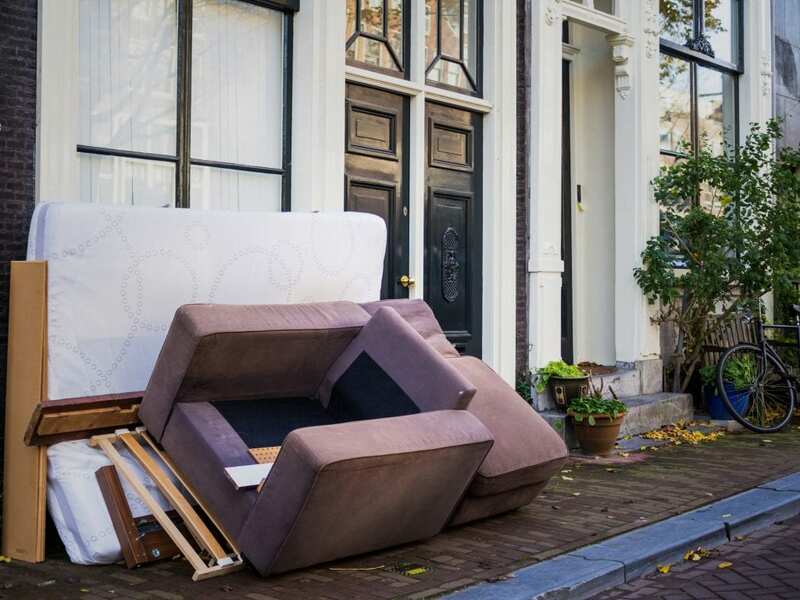 Using a junk removal company to get rid of old, unwanted furniture is not only easy but can be highly rewarding as well, if you know what you’re looking for. Call Junk Boss, a locally owned business based out of Edmond, serving the OKC metro. We are ready, willing and able to help with your furniture removal needs and more! Whether it’s donating, moving or disposing, there’s no job we can’t handle. We often have better rates than our competitors due to our volume-based pricing, no hidden fees and obligation-free estimates. Contact us today to get an estimate.